A butcher near me and so much more. Mario’s Meat Market and Italian Deli truly has it all. 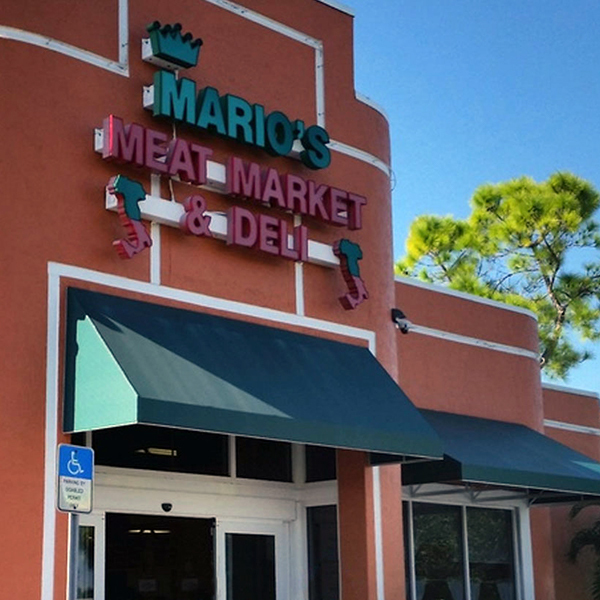 Mario’s Meat Market and Italian Deli is locally and conveniently located in Fort Myers, Florida. We have the best selection of meats, deli items, groceries, frozen foods, and Italian specialties in Southwest Florida. If you are looking for quality meats, an amazing selection of Italian specialties that are made in-store or imported, and service that is a cut above, look no further. Come by and shop with us today and you will see why we’ve been nominated for the Best Butcher shop, Best Specialty Market, Best Pre-Made Meal, and Best Sandwich Shop in Lee County by Gulfshore Life Magazine. Are you trying to decide on what to make for dinner tonight? We share a new recipe that you can make using in-store ingredients weekly. Click here to check out some of our favorite recipes! Mario’s also has the best weekly ad specials in the Fort Myers area. Get big savings on quality meats, deli items, wines and specialty beers, groceries and Italian specialties. Stop by our gourmet meat market and deli to see all of the specialty items we have on sale. Click here to see what is on sale this week and save today! We love to hear from you, our customers! Feel free to drop us a line and let us now how we are doing. Quality, service, and selection that’s a cut above is our mission here at Mario’s Meat Market & Deli, which is why we are always looking for customer feedback. If you have any questions, comments or concerns, please contact us by using our contact form provided below. Please complete the form with as much detail as you can, so we can respond as accurately as possible.